React instinctively to the moment and catch fast moving sports or wildlife action with ease thanks to a high performance AF system, a maximum 7fps continuous shooting rate and customisable controls. 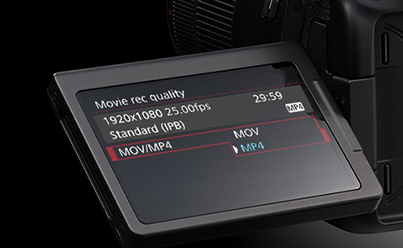 Explore creative shooting angles and enjoy intuitive control using the 7.7cm Vari-Angle Clear View LCD II touch screen. Compose and shoot action from a different point of view thanks to Live View continuous shooting using Dual Pixel CMOS AF at 5fps. Explore creative lighting options by positioning Canon Speedlite flashes off camera and controlling them with the EOS 80D’s Integrated Speedlite Transmitter. Control over Dual Pixel CMOS AF sensitivity and speed for movies allows you to adapt the focus to the shooting situation and create a slow, natural or fast-paced look for your movie. Shoot cinematic Full HD 60p movies with Dual Pixel CMOS AF and the option for smooth action sequences or slow motion effects. Achieve superb special effects in-camera with features such as Timelapse Movie, which allows you to easily capture a series of shots for a movie sequence that portrays the passage of time and HDR, which captures a wider range of tones in high contrast lighting situations, by shooting two alternating frames at different exposures. Use Creative Filters to capture movies with a unique look and feel such as Old Movies, Dramatic B&W, Dream and Miniature effect. 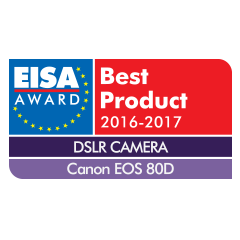 For the ultimate movie shooting solution, combine EOS 80D with the flexible, high performance EF-S 18-135mm f/3.5-5.6 IS USM featuring Nano USM, which delivers smooth, quiet focussing for movies and super-fast AF for stills. Combine it with the optional Power Zoom Adapter PZ-E1 for precise zoom control when shooting movies. Share directly from your camera to social media and cloud services like irista by using your home Wi-Fi network, or print wirelessly to a compatible printer. Camera to camera sharing is also possible using compatible devices. 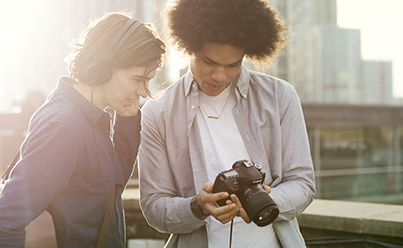 Simply tap the EOS 80D via NFC to the Connect Station to easily store your photos and movies and share with others on an HDTV or with social media or via online albums. 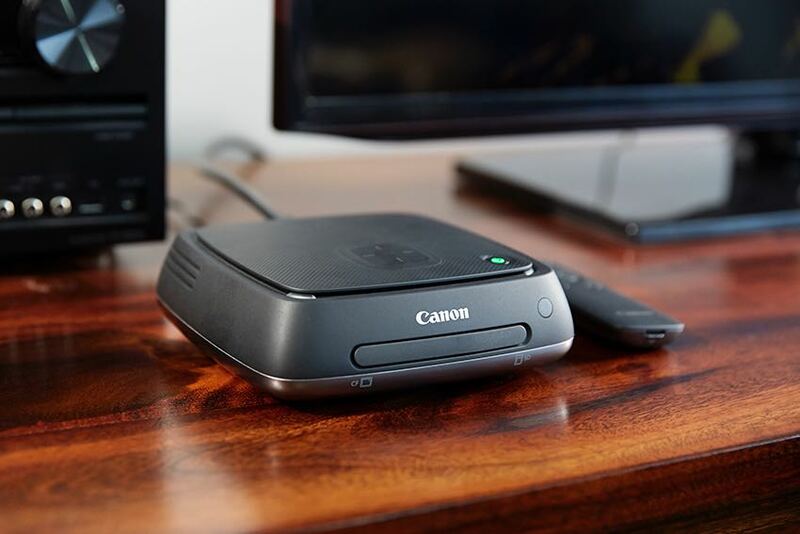 Connect to the camera anywhere from a PC or Mac and enjoy easy image transfer and remote operation using the supplied EOS Utility software. From capturing landscapes to portraits to movies, this versatile 18-135mm wide-angle zoom lens can excel in all areas thanks to Nano USM AF technology and a powerful Image Stabilizer for steady, sharp results. 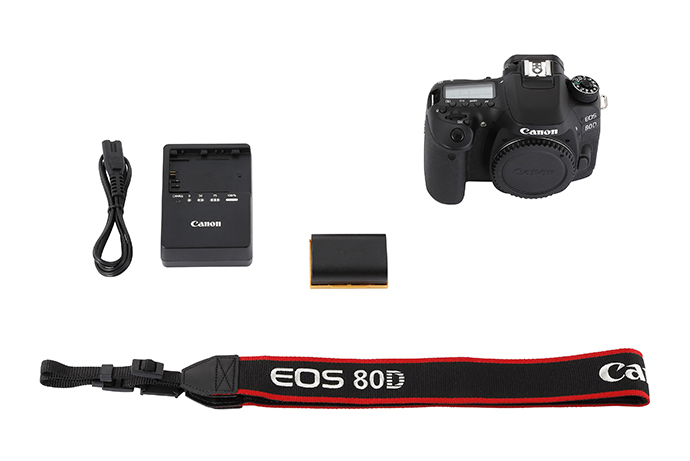 Add a battery grip to your EOS 80D to extend battery life and improve the way the camera handles. A spare or replacement battery for your EOS camera. Take pictures without touching your camera - idea for when you want to avoid causing vibrations. Protect your EOS from bumps and scrapes.